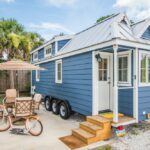 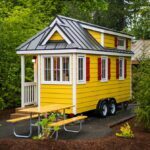 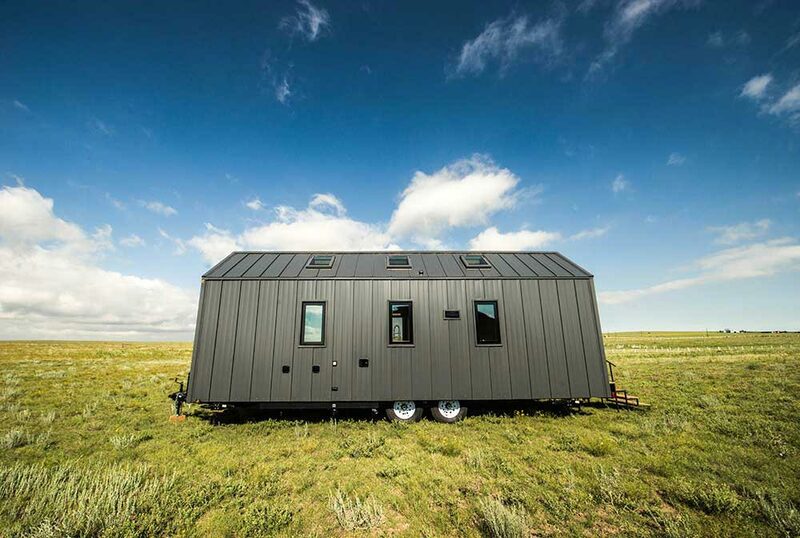 The Farallon is a 218 square foot tiny house featuring a standing seam metal roof and siding exterior. 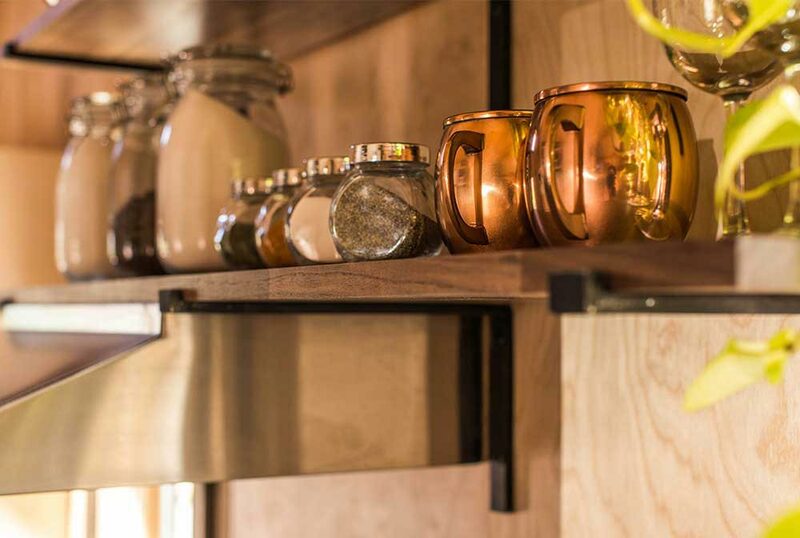 The unique wood and metal exterior create a modern aesthetic. 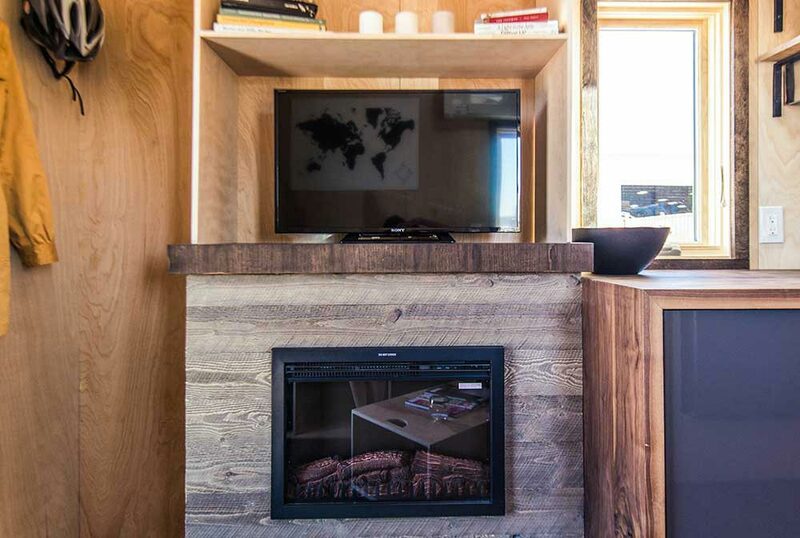 Inside, you’ll find a custom couch with storage and a hidden coffee table, a custom desk with hideaway for your belongings, and an entertainment area that’s perfect for an electric fireplace and television (available upgrade). 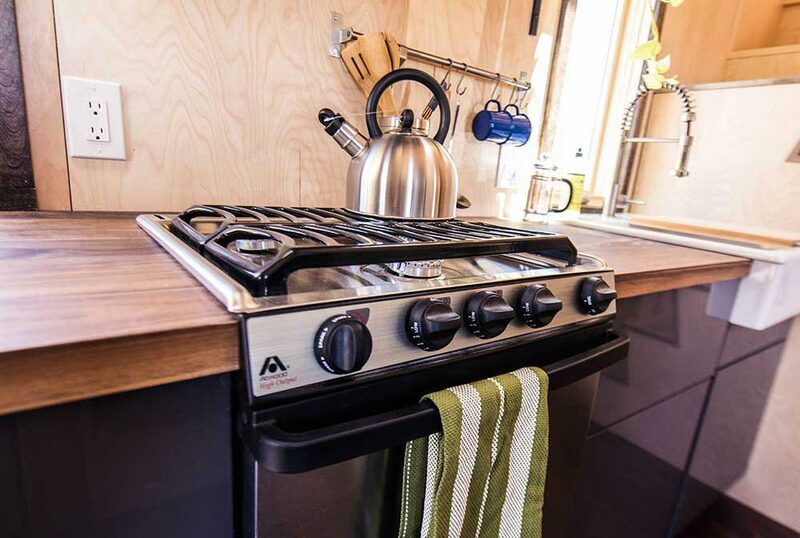 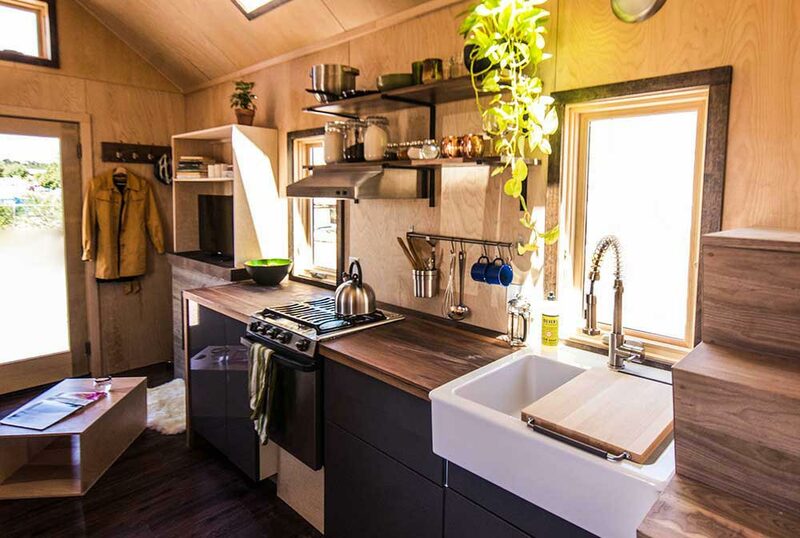 The kitchen comes with an Atwood propane range, apartment size refrigerator, and a farm sink. 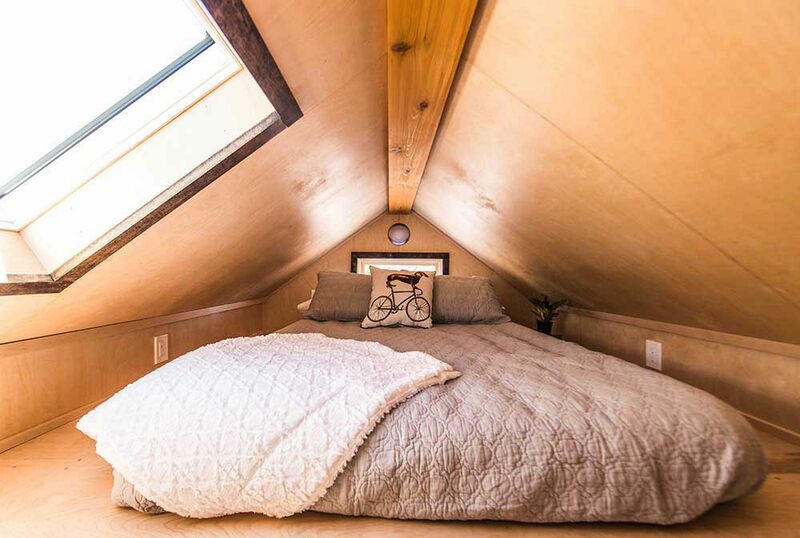 A first floor flex room can be used as a bedroom, home office, or studio since there is also a loft. 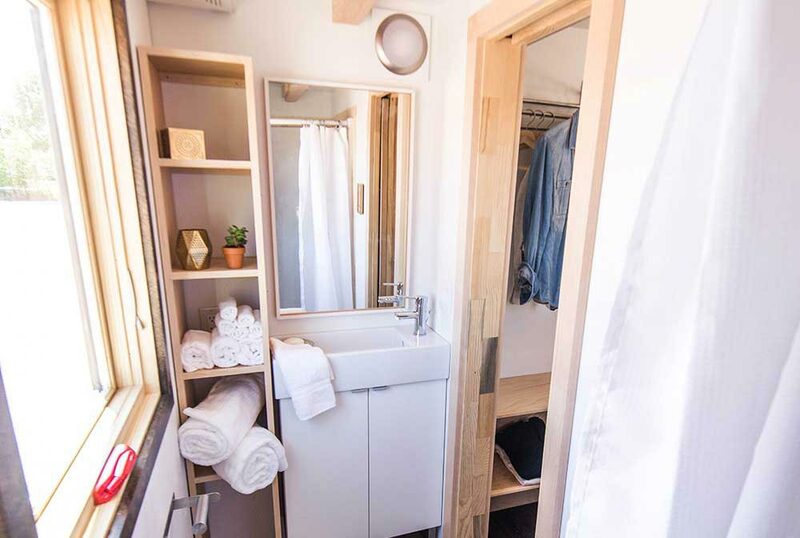 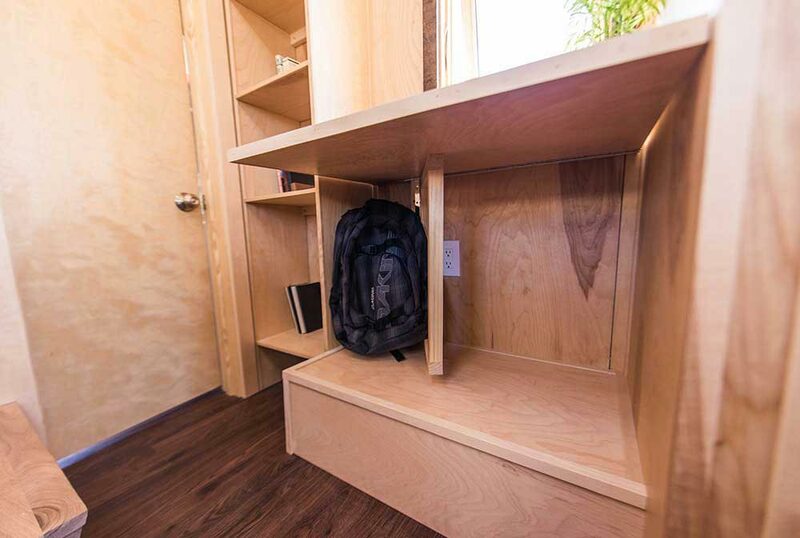 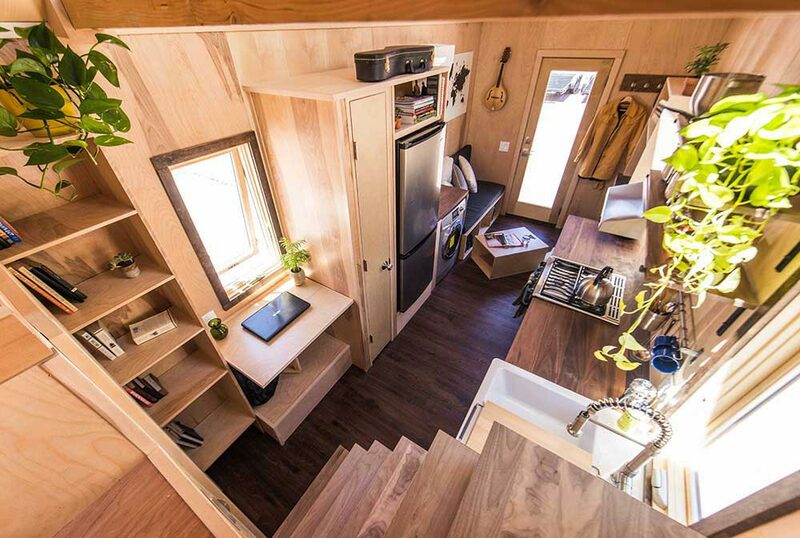 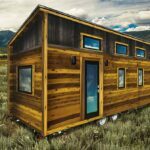 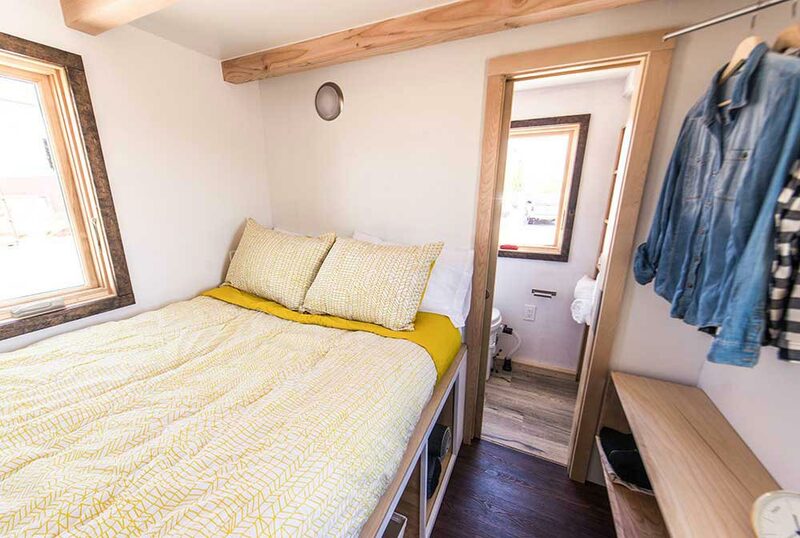 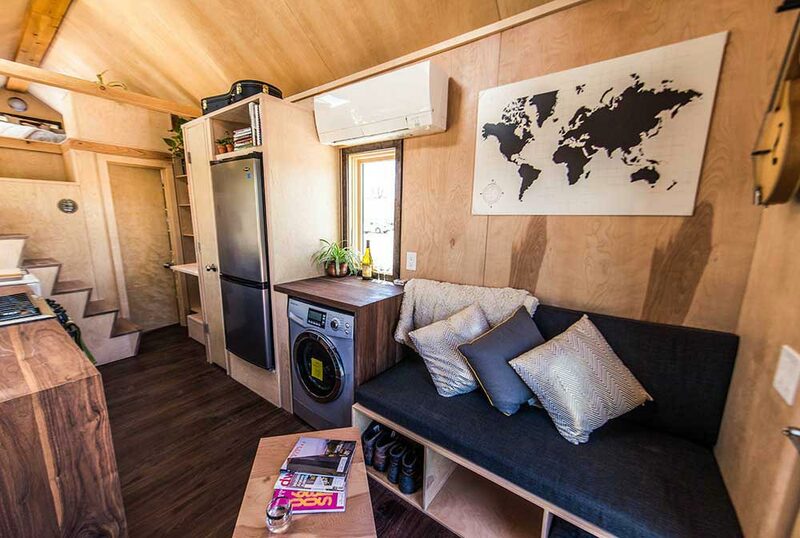 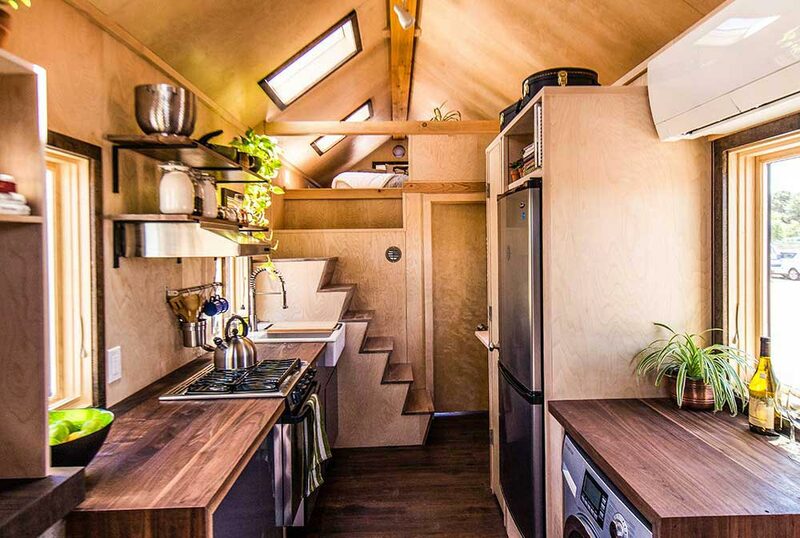 The Farallon was created by the Tumbleweed Tiny House Company, one of the tiny house industry leaders. 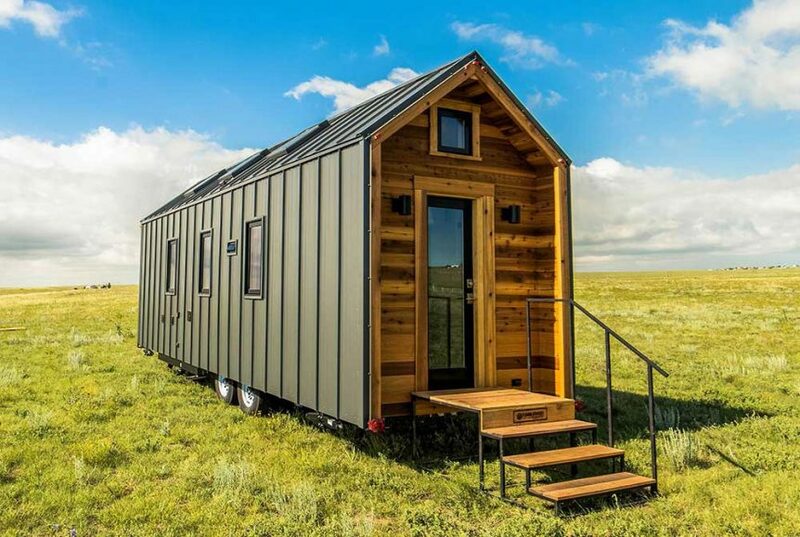 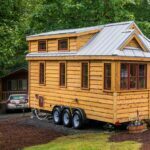 Also available from Tumbleweed Tiny House Company: Roanoke. 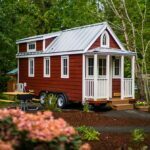 This post contains affiliate links, which means if you click on one of the product links and make a purchase, Tiny Living will receive compensation. 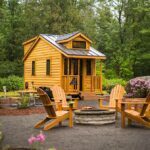 It does not cost you any extra to purchase a product through the affiliate links and it will help support this site!